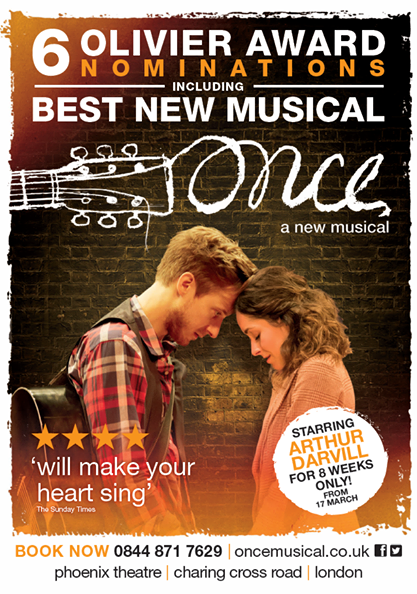 One of the more pleasing success stories of the West End has been the endurance of Once the musical. Tucked away in the Phoenix Theatre where the huge Crossrail works have limited its footfall somewhat, I feared its subtle charms might get washed away by its brasher neighbours but it is now about to celebrate a year’s worth of performances and is booking through to July 2015. With Arthur Darvill stepping into the shoes of ‘Guy’, a role he has played on Broadway, it seemed as good a time as any to revisit the show which made it into my top 20 shows of the year. Whereas The Weir explores rural Irish life through the intimacy of an old man’s pub where everyone knows everyone and their business, Once takes place in the comparative bright lights of Dublin, a bar likely somewhere off of Grafton Street with a greater diversity of people. Bankers rub shoulders with burger flippers, gay men alongside Czech immigrants, and all are united by the gift of quietly stirring music and the sharing of stories. From the pre-show onstage bar with its jamming session to the yearning emotion of the climax, this is as gorgeously mellow as a West End musical gets. It all starts with a chance meeting over a song – Darvill’s dejected busker being spotted by Zrinka Cvitešić’s enthusiastic Girl who gives his life aspirations and musical ambitions a much-needed kick up the jacksy. Hints of romance begin to flourish amongst their music-making but he’s got an ex in New York with unresolved issues and she’s married so rueful regret is the order of the day and these two deliver it perfectly – Darvill modulates his natural charisma to create something sweetly vulnerable and Cvitešić lives up to her Olivier nomination with a performance of truly deep feeling. You could spend your time saying ‘well it’s not like the film’ but that is to ignore the art of adaptation that has gone on here, to make it subtler, quieter in such a large theatre would be counter-intuitive. 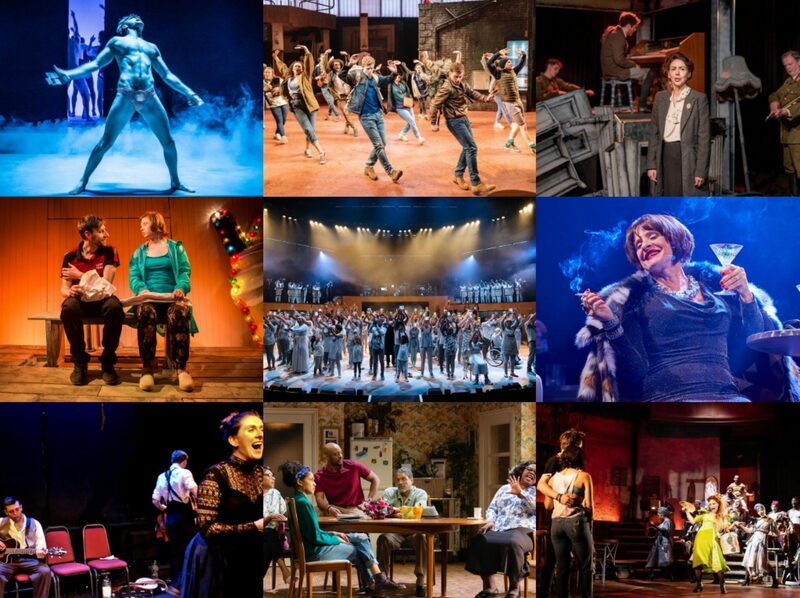 And you could say ‘well it’s not like a proper West End musical’, which in the end is pretty much the point. When the choreography eventually kicks in, it is the expressive movement of Steven Hoggett that rules here; the 11 o’clock number is a spine-tingling accapella song which somehow packs just as much force as any diva laying it down with a D#5. So embrace what it is rather than what it is not, celebrate what it achieves (and has achieved in such an unforgiving market) and allow yourself to be moved for once.